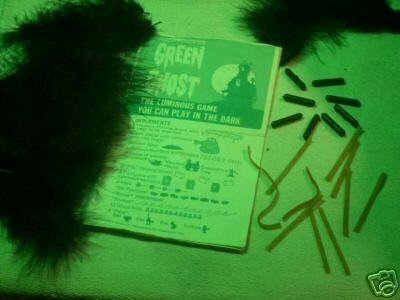 Here's a quick pictorial of the parts that complete a Transogram Green Ghost Game. 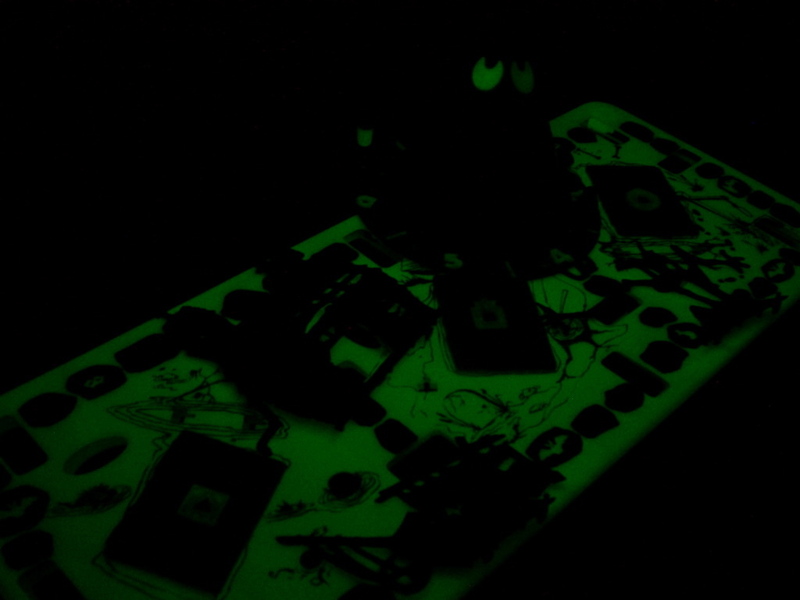 Everyday is Halloween with this toy! If you collect Monsters and Monster toys this will become an instant favorite. Pets: Cat, Bat, Mouse, Vulture. Keys: 4 different shaped ends (Circle, Sqaure, Triangle, Octagon Misfit). 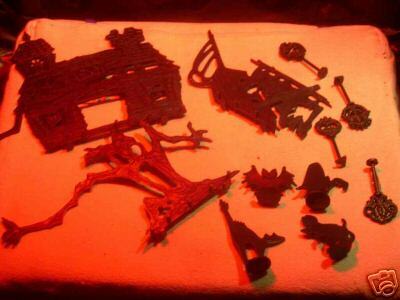 Instructions, Bat Feathers, Bones and Snakes. The Numbers and Dividers from the spinner base are also Extrememly Rare!!! 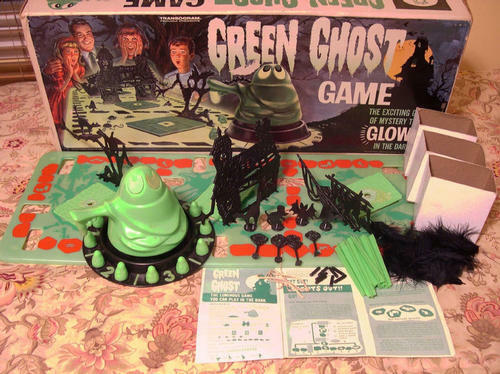 A complete Green Ghost Set. 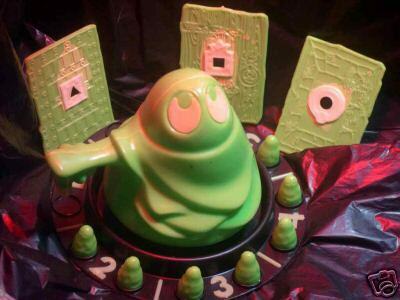 AND THE GREEN GHOST HELD DOMINION OVER ALL!!! LIGHTS OUT !!! 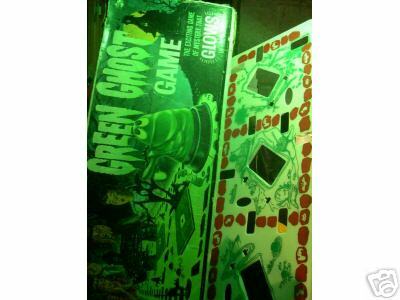 GREEN GHOST GLOWS IN THE DARK! Now that you know what the parts go with the game, go to Variations to see some different versions.